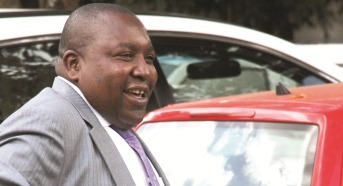 FORMER Zimbabwe Broadcasting Holdings chief executive Happison Muchechetere will now be prosecuted over a 2013 case in which he is accused of contravening procurement regulations during his time as the head of the State broadcaster. This was after High Court judge Clement Phiri dismissed an appeal made by Muchechetere challenging the validity of his prosecution over the charges. “In the absence of the applicant, this matter is dismissed and remitted to the court a quo for trial,” Phiri ruled. In the application, Muchechetere argued that charges against him are constitutionally invalid saying the allegations were “heretical as a matter of law as the corporation does not as a matter of law exist”. He argued that ZBH was not a procuring entity. He said according to statute, regulations require that a procuring entity will be a corporation not a private limited company. Muchechetere said in his case, the corporation no longer exists as it was disbanded by statute. He allegedly entered into the agreement without going to tender. Muchechetere allegedly misrepresented to the ZBC executive committee in May 2013 that the $495 000 donated by BancABC was enough to purchase an audio van, a cargo van and a crew bus, and the committee approved the purchase of the items using the said money. The State alleges that prior to the meeting, Muchechetere did not disclose to the committee that he had already entered into a purchasing deal to the tune of $1 050 000 for only the radio OB van. According to State papers, Muchechetere flew to China alone where he signed an agreement concerning the inspection of the van which was never carried out by other members of the executive committee. The OB van was subsequently delivered to Zimbabwe in August 2013 after BancABC released another $100 000 to the Chinese company, the State claims. The offence came to light after Muchechetere’s suspension in November 2013 when it was discovered that the OB van had a market value of $350 000 contrary to the $1 050 000 Muchechetere signed for.